Hi Paul, Thanks so much for finding the time to survey my land with me. I greatly appreciated your professionalism and my geological lesson! ... Thank you for helping us save Cooper Lake! You were a superstar last night! Thank you very much. Gratefully. Thanks for last night and your excellent work. Your work on this was spectacular on very short notice. Thank you, Paul! We truly appreciate all of your work, insight and expertise! Thank you, Paul, for the fabulous scientific work and for the clarity with which you presented it. I just finished reading your superb report. You did a sensational job. I am in awe! Thanks for the report...great job! This is very helpful. YES! Please freely share the LAP Pipeline Fact Sheet with other groups fighting pipelines. It is a compelling resource, and I agree it serves as an excellent template for any community eager to assess -- and challenge -- an explosive gas pipeline proposed to endanger their homes, neighborhoods, schools, and lives. What's extraordinary is that none of this available information is formally considered by FERC is their permitting process for these pipelines. The system is wholly designed to legalize horrifying dangers to the environment and local communities for corporate profits. It's really that simple. Getting resources like the ones you've prepared into the hands of more & more people is a crucial step in putting the breaks on this runaway industry. Wow! What a gift you have provided to our effort. I can't thank you enough. My admiration is for your straight talking scientific intellectual honesty!! Thank you for your great work on Mamakating's hydrogeological study. The Legislature awarded a certificate of recognition to the Town of Mamakating for the impressive hydrogeologic study you completed. You have been the consummate professional throughout this [litigation] process. The lawsuit with our neighbors has been settled. This success would not have been possible without your monumental efforts so, thank you, again, for helping us have a great ending to this chapter with the property! Your letter concisely outlines many compelling reasons why this particular Army Corps of Engineers proposed "river restoration" project should not be undertaken and re-scoped! This is quite amazing. Evidently there are choices and alternatives to putting concrete back onto the riverbanks. We appreciate your prompt and professional work. This is a really excellent and comprehensive document. Thank you again for the report you provided us in the Mountain Valley Pipeline proceeding. It appears to be one of the few reports that addressed MVP's proposed mitigation plan with any specificity. This is great! [Historic Hale House Fact Sheet] Thank you. It will really help our guides explain the water system to our guests. Paul, I think your affidavit looks great. Thank you, you are a real pleasure to work with. Deborah Seidman-Munitz; ROSA 4 Rockland, Inc. Thanks Paul for stepping up to do the report and your great insights and contributions. You really provided key information that we needed. Thank you so much for meeting this challenge! You did an absolutely fabulous job. I cannot thank you enough for all the time you have spent on the affidavit addressing the geologic cause of failure of the granite monument dedicated to the heroes of United Air Lines Flight 93 who died on Sept. 11, 2001 while under attack by terrorist hijackers. The monument has enormous meaning to all of us who were flying at the time and for those who are still flying. Paul has been amazing in his efforts on our behalf. Awesome Power Point presentation on environmental and safety considerations regarding the proposed Mariner East pipeline. Thank you all for your wonderful expertise and great review of the Center for Sustainable Shale Development Performance Standards and for helping us with a video interview about your findings. Where would we be now without people like you on the front lines! Thanks, Paul for your excellent report - It's really discouraging on a day to day basis to witness how little we have to fight back. You have been a Godsend, Paul - we need a Paul Rubin here in Ohio! Paul is diligent and thorough in his hydrological work. He possesses a deep and varied knowledge of his subject, and he strives to provide expert service to his clients. I highly recommend him. I have had the pleasure of working with Paul on more than one occasion where we represented clients in opposition to controversial development projects. In each case, hydrogeologic issues were critical. On all of these, Paul was able to speak clearly and effectively, and with authority, shedding light on pertinent issues that the project sponsors failed to address. 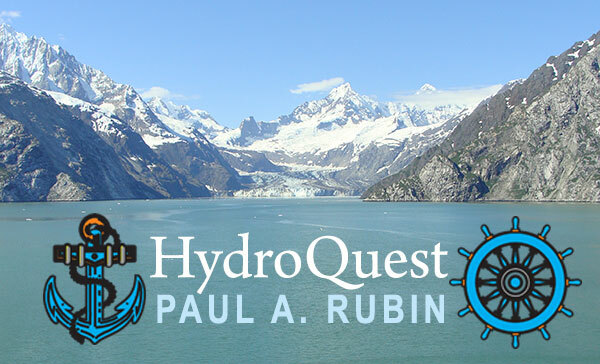 An experienced, thorough, competent hydrogeologic expert such as Paul Rubin is an invaluable asset. Paul - the GIS map is awesome and the geologic cross-section is excellent, beautifully done! Wow. Thanks for a fabulous job - I think you're going to nail this - a monumental accomplishment!